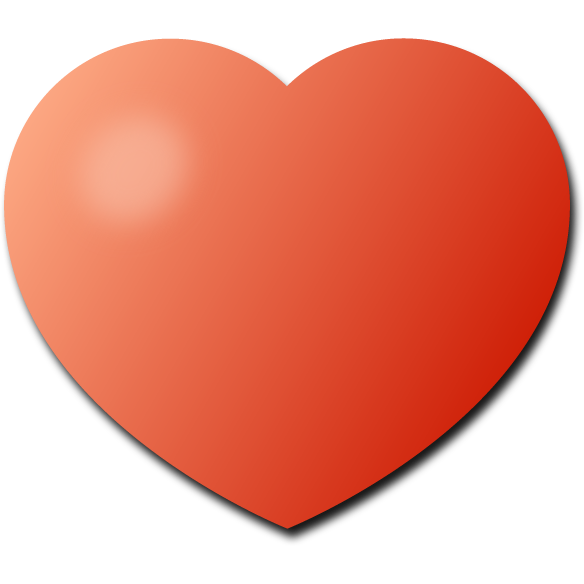 When you take the handcar to your town you will be very happy. 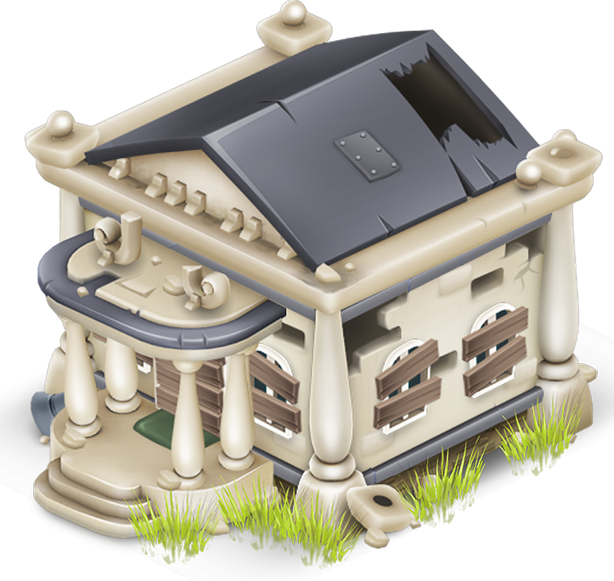 You don't need to pay for repairing your Town Hall and Train Station. 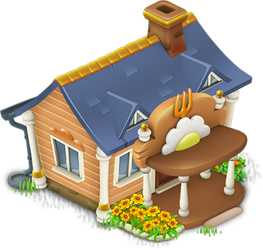 All buildings in your town can be upgraded. As you can see below there are different stages. 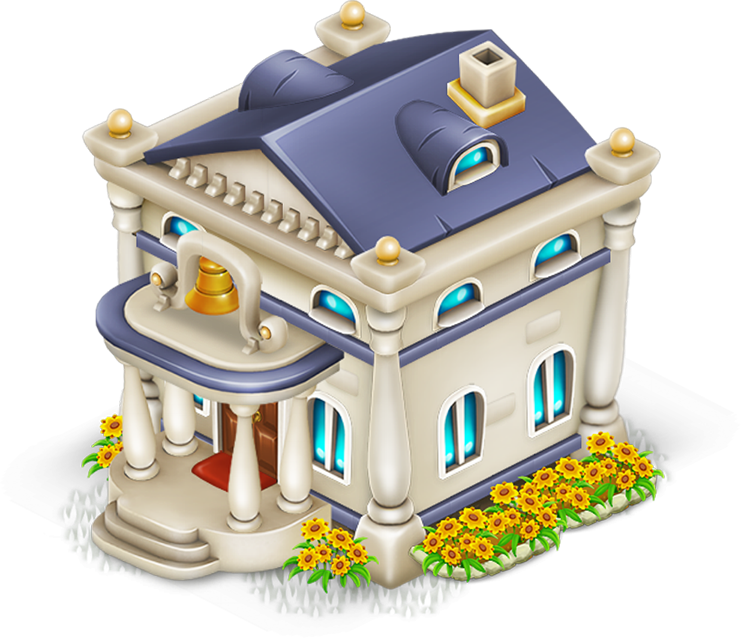 When you upgrade your Town Hall it will change size and looks. 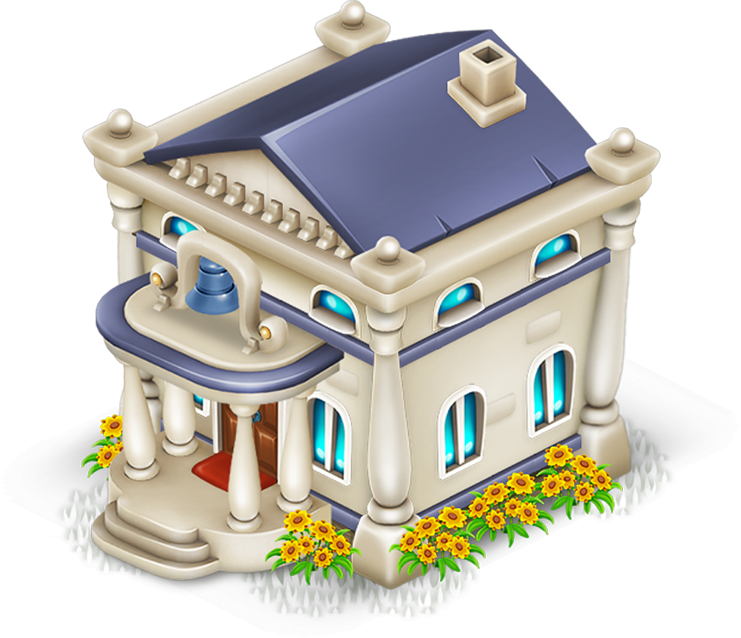 You can upgrade your Town Hall to max space for 42 visitors. 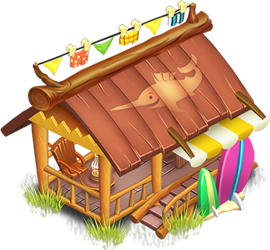 Every upgrade need expansion items, some of them you only get serving visitors. 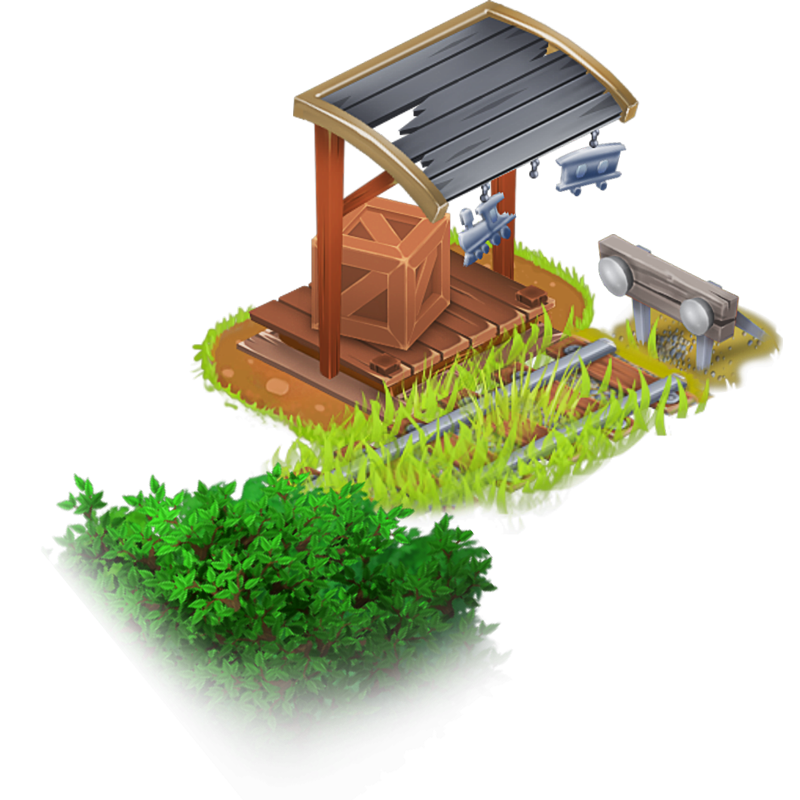 You also need some expansion items you already use in your farm for your barn and silo. 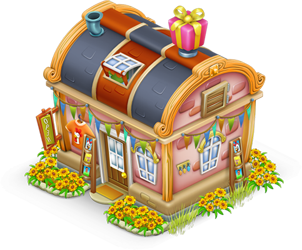 When you serve visitors in your town you will earn expansion items if they visit all your buildings. 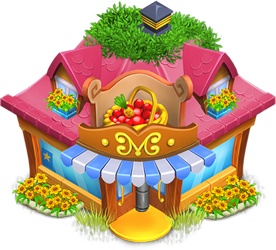 You need these items for upgrading your town buildings like the Grocery Store, Diner, Cinema, Bed and Breakfast, Spa, Gift Shop and Beach Café. 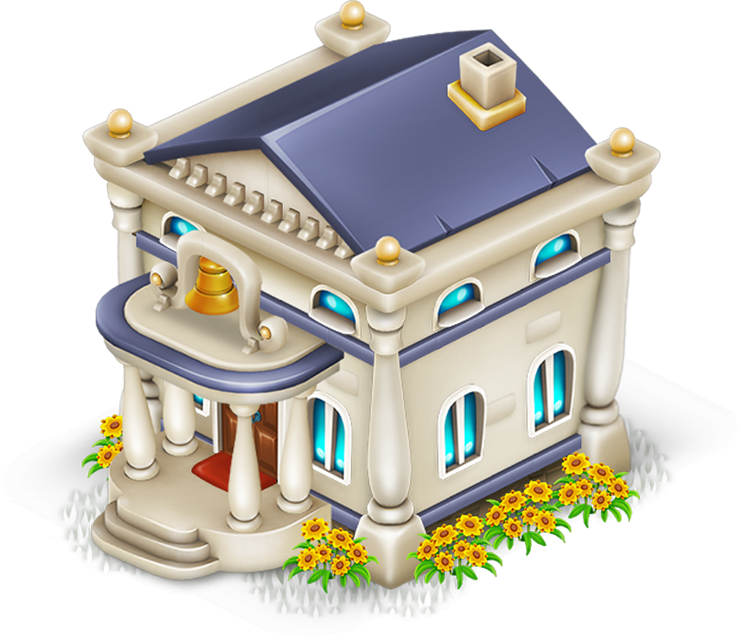 The Town Hall needs 3 expansion items: hammer, paint bucket and stone blocks. 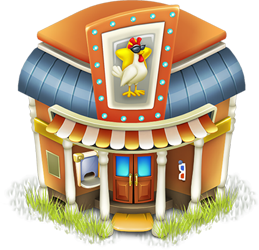 When you repair the Town Hall your Town can host 9 visitors. Every time you upgrade with the above expansion items you get 3 extra spaces. For every upgrade you need 1 more extra expansion item. For the first upgrade you need 1 of each, second upgrade you need 2 expansion items each and so forth. 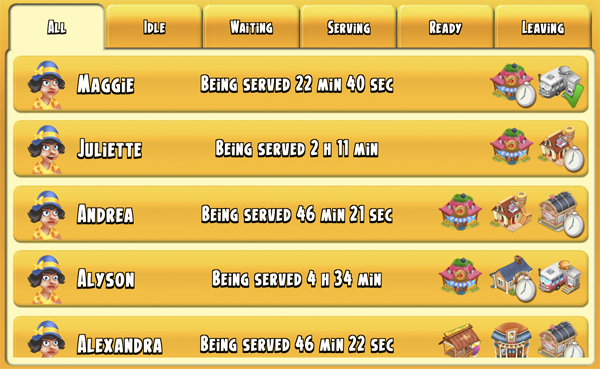 When you reach level 12 you can have 42 visitors. This is the max for now. Every upgrade, you go up in level in that building. leaving - say goodbye to your visitors, some of them are going home and others want to visit your neighbors town. New in your town are your reputation points. 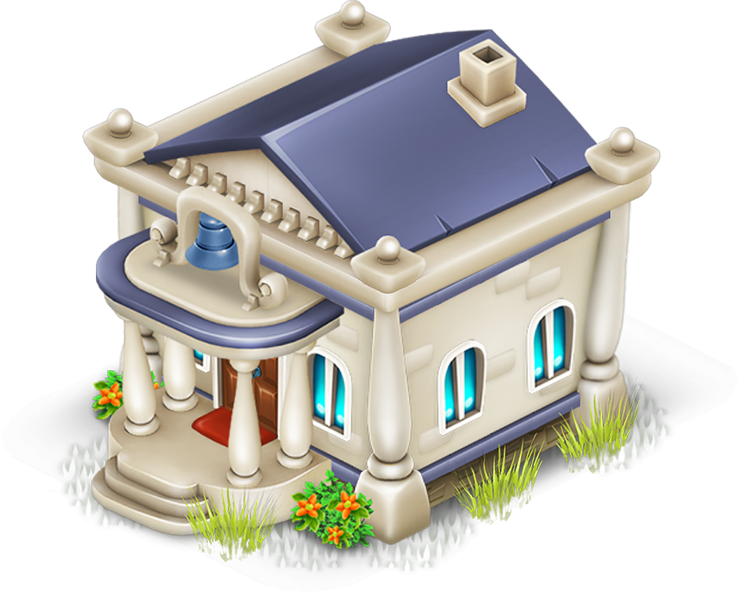 Every visitor you help in your town buildings you will earn coins, experience and reputation points. 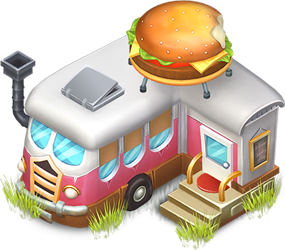 As said before, when your visitors visit all of your buildings you will get a freebie. 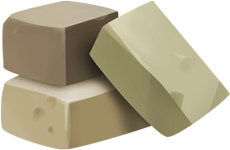 This is the same as you can earn harvesting crops. 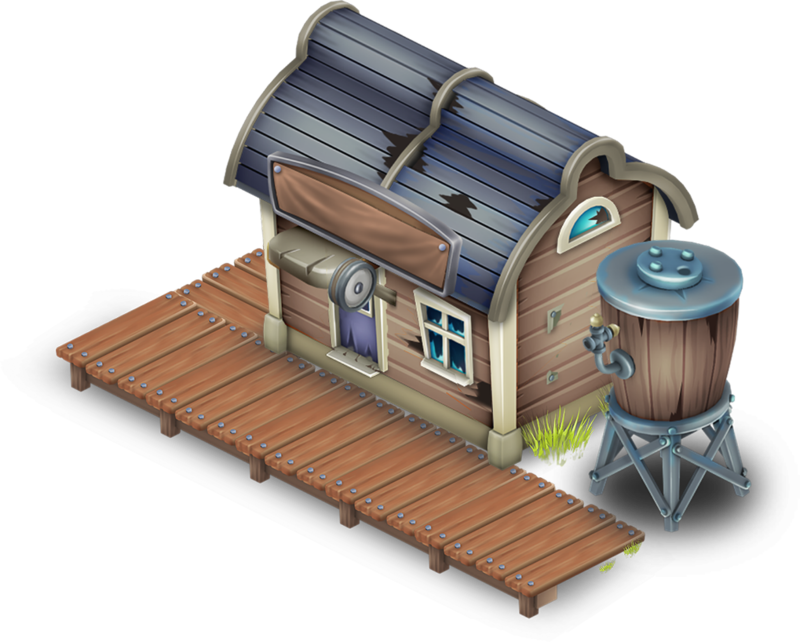 PS: following items you can earn in your farm are barn items (tape, plank and bolt), silo items (screw, wood panel and nails), land items (deed, mallet and marker stake), Mine items (dynamite, TNT-Barrel, shovel and pickaxe) and farm items (axe and saw). 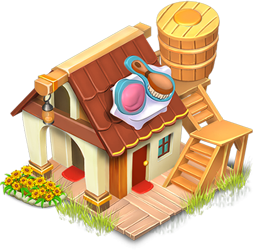 When you upgrade your town buildings you can make extra coins, experience and reputation points. Helping visitors with two buildings is enough to get you the freebies but getting visitors from your neighbors is better, they only want to visit one building. 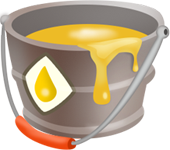 This will save you some products.